This image was provided by Ted McCormack from his collection and is likely an O.V. Hunt photo from about 1925. 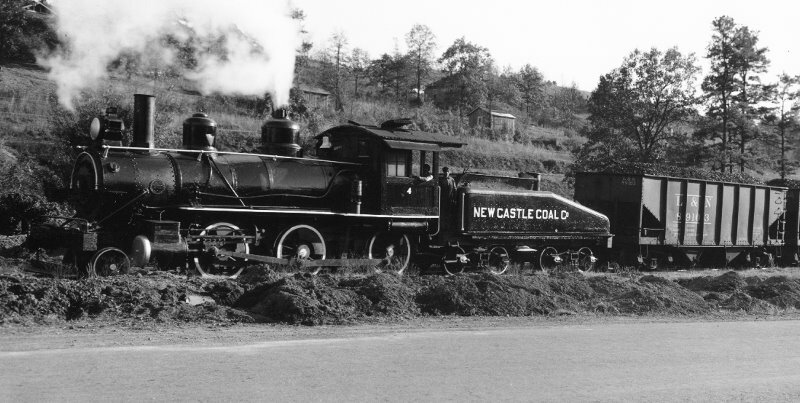 This locomotive is older, likely from the 1890's but appears to be in good repair. The location is not known although it appears that there is a spur track on this side of the train, which could be the spur to the number two mine. What a great train for a model railroad! Here's a closer view.